The restaurant features made to order pasta, charbroiled steaks, prime rib, fresh seafood, chicken, and homemade Italian dishes such as Chicken Cacciatore. 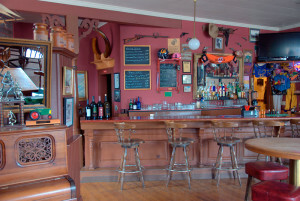 The full service bar provides a variety of beers on tap, a wine list including California and Italian wines, and liquors for the enjoyment by all that sit at the 1875 redwood bar. 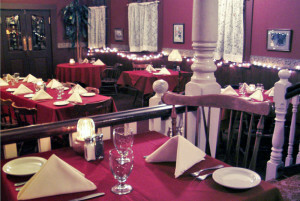 The restaurant serves dinner 5pm – 9pm Wednesday thru Sunday. The bar opens at 4pm Wednesday through Sunday nights.